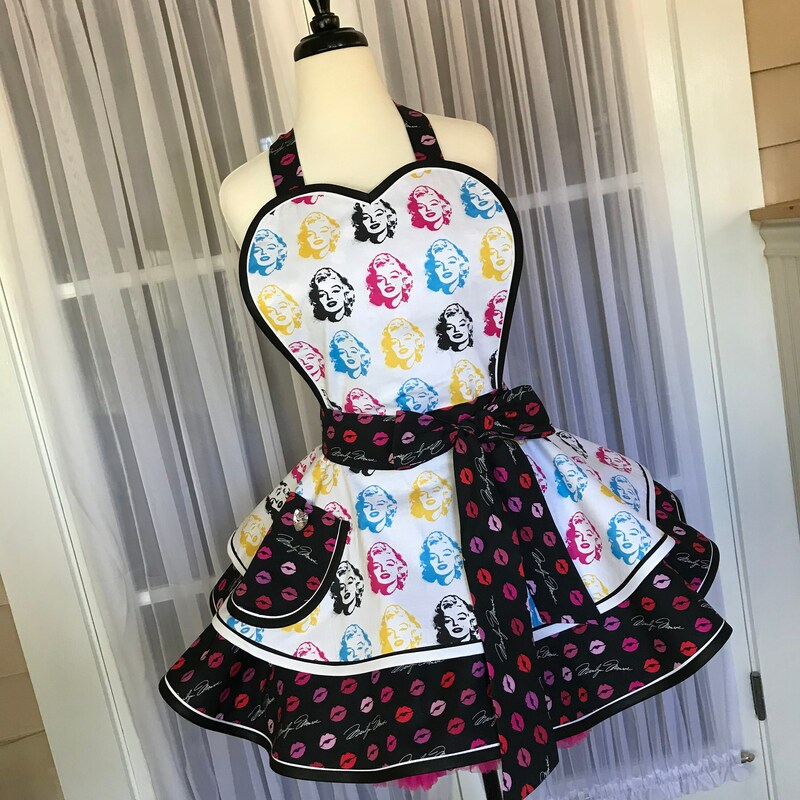 Marilyn Monroe pinup apron in an Andy Warhol print is so classic and elegant in it's own way! 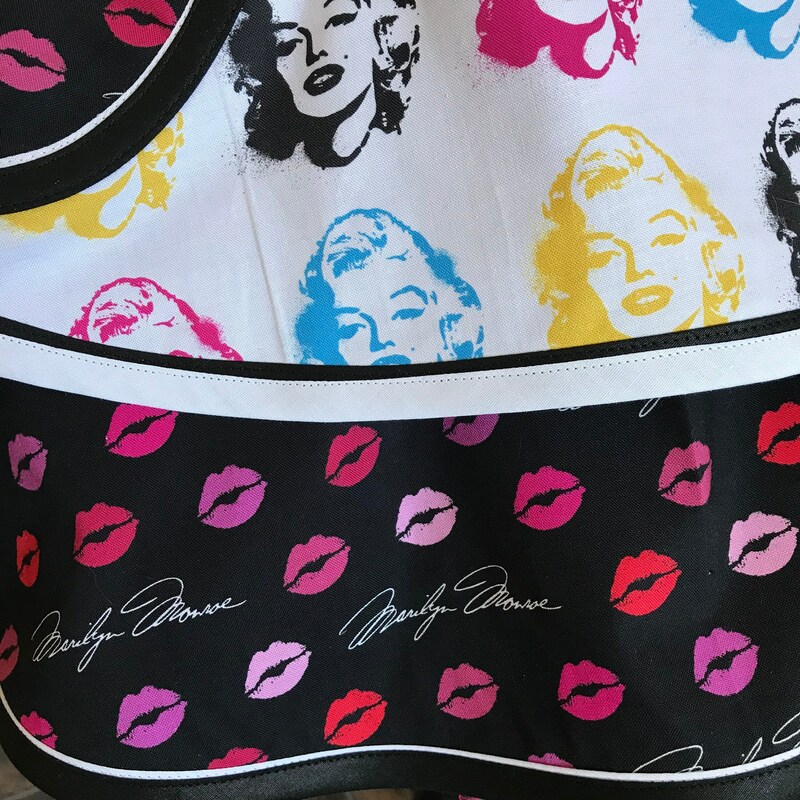 This is another of the Marilyn Monroe collection that you don't want to miss out on for you or someone special! 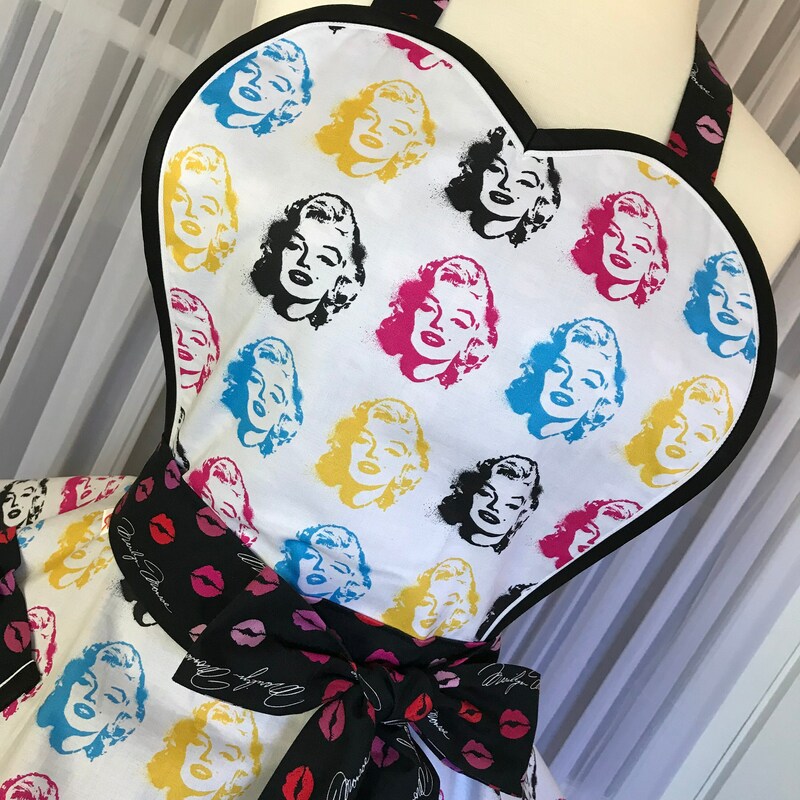 This is another digitally printed fabric with very vibrant colors and I've paired it with the MM kisses and signature fabric to make it really great! 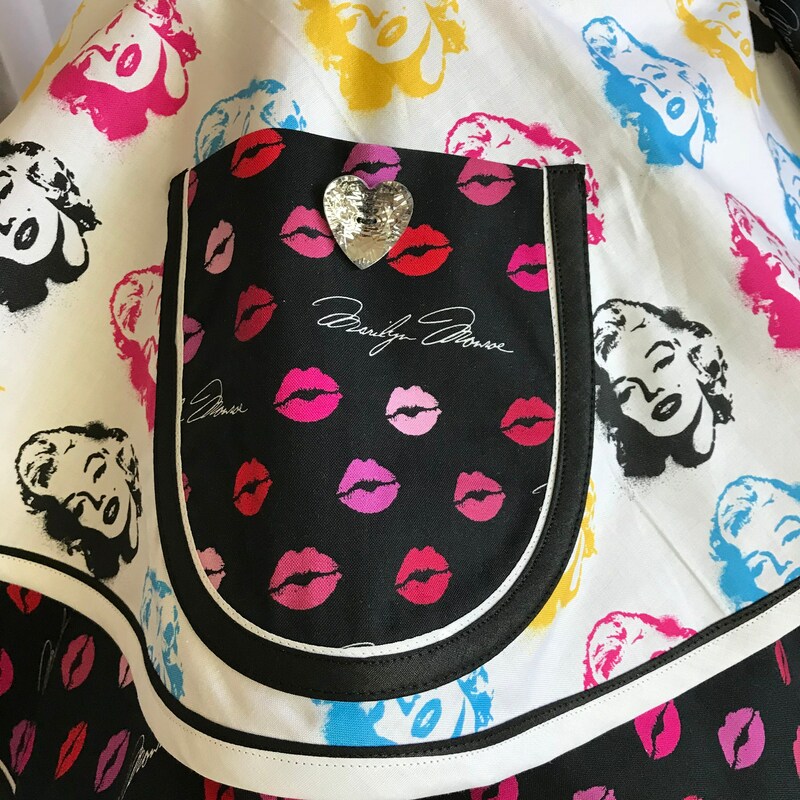 I've used black and white bindings on the heart bib, two tiers and pocket and a blingy button to give it a little sparkle! This is a very clean and beautiful MM and would make a great addition to a MM collection! This is a one size fits all style with 42" ties. The ties can be tied in front or back depending on a persons waist size. 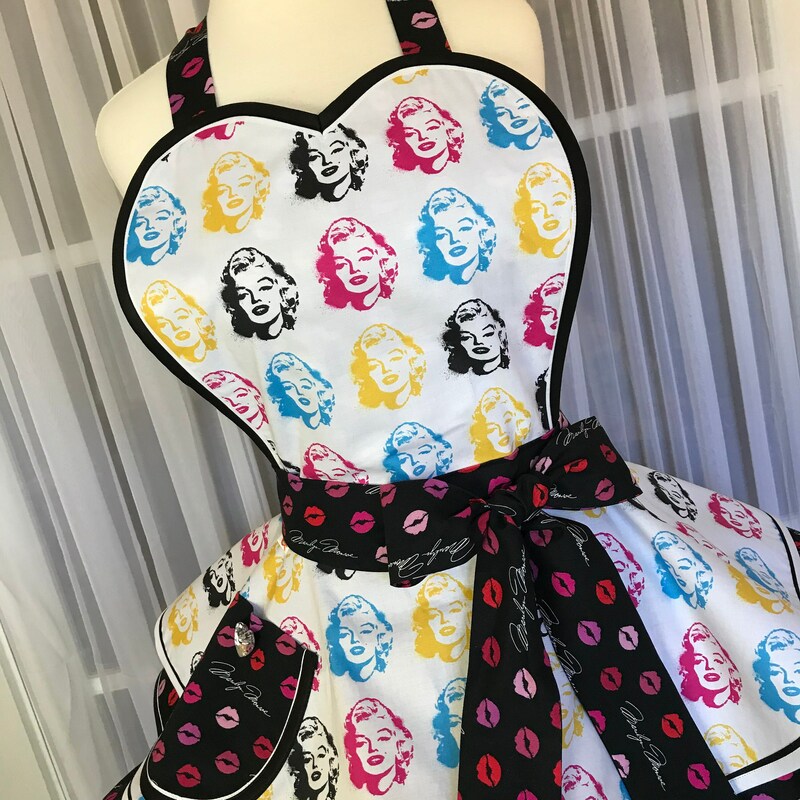 I have carefully chosen colorful, vibrant fabrics made of great quality 100% cotton materials, unless stated otherwise; and bindings, if used, are polyester and cotton, unless otherwise mentioned. Wash in cold water on delicate cycle, and damp or hang dry to preserve the beauty of your aprons color! 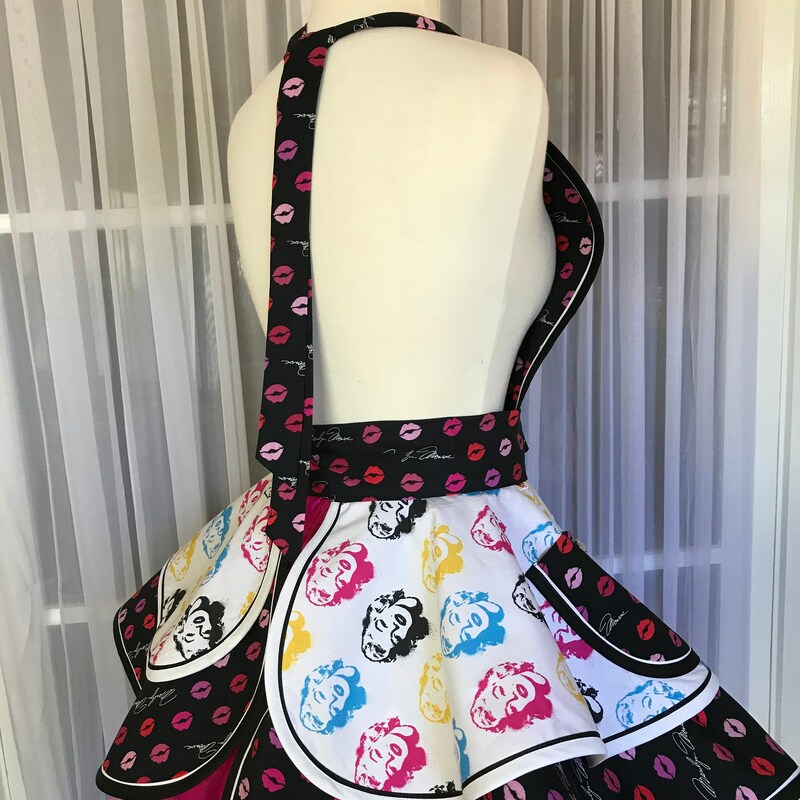 Particular attention is taken to make each one of my aprons unique and one-of-a-kind, and most of all, to please you, my customer! Anything that you see is in stock and I will be able to ship your item/s within 1-3 days depending on when you place your order and when I receive your payment. All items are packed with care and sent by USPS Priority unless specified otherwise in the listing. First Class usually takes 3 to 5 business days to arrive in the United States. International orders are sent by First Class Mail and may take 1 to 3 weeks to arrive. I do not send with confirmation, to save myself, and you, postage cost. I will however, ship with delivery confirmation if you request it. The United States Postal Service is pretty consistent and reliable, but please keep in mind that these are estimated transit times. I cannot be held responsible for shipment delays after I've delivered your package to the post office. If you would like to upgrade for faster shipping please contact me before placing your order. 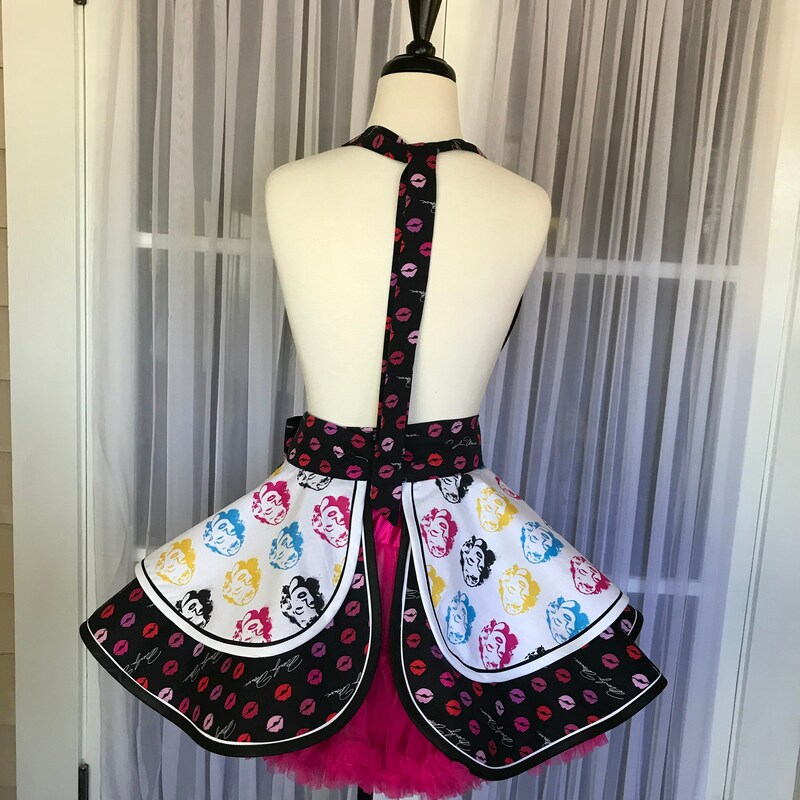 If for any reason you are unsatisfied with your purchase from SewMammaSew or damage/loss occurs in shipping, please drop me a note within 3 to 7 days of arrival/or expected arrival. Returns, exchanges or refunds will be granted after discussion.